Since its launch in April 2012, search nerds around the world anxiously await for Google to announce updates to the infamous Penguin algorithm, aimed to punish sites that use negative tactics to improve their search ranking. Prior to 4.0, changes were rolled out manually, but the latest addition to the Penguin family means these updates will happen in real-time. If you’re behind on what’s happening with this big change, here’s a little refresher — and how it will affect your business. Penguin 1.0 was a filter released by Google on April 24, 2012 to downgrade “spammy” sites. Penguin targeted sites that had engaged in sketchy back-linking practises to falsely rise in Google search results. Sites that were hit by Penguin updates would lose trust with Google, meaning their rankings and site traffic would drop significantly. Updates that followed included punishments for sites with “top heavy” content, and sites overloaded with ads. This launch means that Penguin 4.0 is now apart of the regular Google algorithm, where updates happen automatically. What makes Penguin 4.0 so special? Sites that had been penalized used to have to wait until the next Penguin update to regain Google’s trust. However, with Penguin 4.0, the updates will occur in real-time. So, if your site has been hit you won’t have to wait months — or years! — to regain Google’s trust. Penguin 4.0 will also focus more emphasis on the link source and not an entire site. This means that penalizations will be more granular, some pages of a site might get hit rather than the entire site. Also, the source site will get hit harder than the site that has been linked to it. Will Penguin affect me? How will I know if I’ve been hit? You might receive a message from Google in your webmaster tools explaining they have added a manual spam action to your site, and you might experience a significant drop in traffic. To determine if you have a penalty applied to your site, visit: Webmaster Tools > Search Traffic > Manual Actions. Oh no! I’ve been hit by the Penguin! Now what? You need to identify unnatural links pointing to your site and remove them. If you are unable to remove them, you can request Google disavow any remaining bad links. How long after I make the changes will my site be free? Because Penguin now runs in real time, you should see results resume to normal fairly soon after you make changes. If you’ve had to ask Google to disavow any links, it could still take up to 6 months for changes to take place. 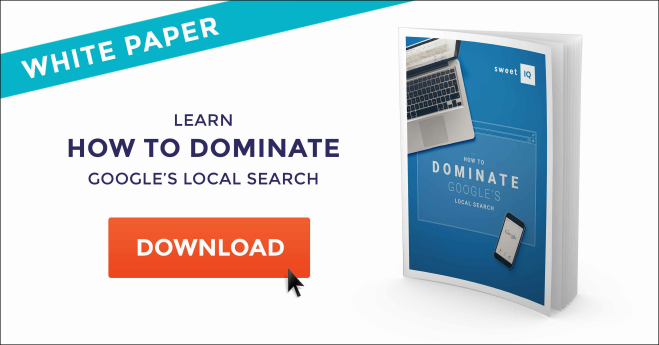 For more tips on how to stay on top of your local search game, download our white paper.